Gladiator Hybrid SUP Fin by Larry Allison. The Gladiator Hybrid SUP Fin is the hot SUP fin right now. Not only do they perform great they look good too and are built in the USA. Colors vary call for current selection or put a note on the order when you place it online. HDM Eliptical Keel SUP Fin featuring tooless Click-It install system. HDM fins are a high density molded fin that features a special blend of fiber and mix of plastics to yield a lightweight but stiff fin at an economical price. �HDM fins will be approx. 25% lighter than solid fiberglass fins. HDM, Gladiator Click-It SUP Fin featuring tooless Click-It install system. HDM Bat Fin Click-It�SUP Fin featuring tooless Click-It install system. HDM Paddle Core Click-It�SUP Fin featuring tooless Click-It install system. 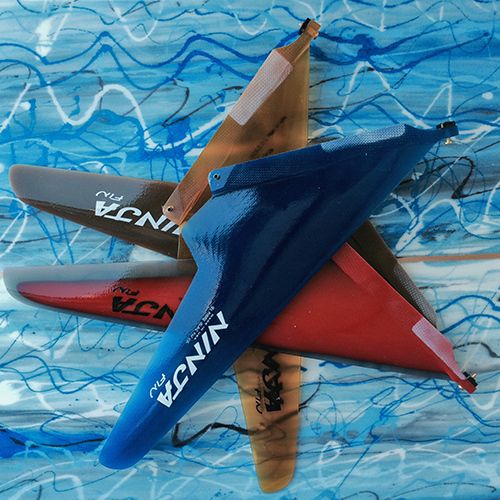 HDM 8.75 inch Wave/Race Blade Fin Click-It�SUP Fin featuring tooless Click-It install system.